SABZ Advogados has a team focused on the development of social programs and invests in partnerships with accredited entities that contribute to the process of develop citizenship and improving society. SABZ Advogados signed an agreement with the Secretary of Education of the State of São Paulo and is fostering the Ludovina Credidio Peixoto Elementary School. The work will be made with the help of school employees, students, parents and the community of the district of Itaim Bibi. The goal is to develop a stronger ethical sense and an entrepreneurial vision with the help of local entrepreneurs. Created in the area of social responsibility of SABZ Advogados, Associação Trabalhar develops projects in house or with partnerships, coordinating the main players to make them feasible, including under the financial aspect. SABZ Advogados supports the Associação Viva o Centro, which aims to develop the Central Area of São Paulo, in its urban, cultural, functional, social and economic aspects, for full access to citizenship and well-being throughout the population. 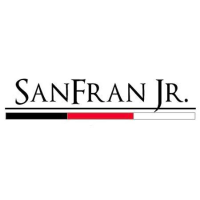 Many years after SABZ Advogados' parteners founded the junior enterprise while still students at the USP Law School, SABZ Advogados continue to support SanFran Jr. The initiative offers a space inside the University to students learn in practice Consulting Law. The Underprivileged Child with Cancer Support Center - Cândida Bermejo Camargo is NGO that offers shelter, food, psychological assistance, medicines, transportation and especially much love and care for children with cancer and their companions travelling from all over Brazil, seeking treatment for their illness. Since 2009, SABZ has become a monthly donor of this NGO that welcomes, cares for, and supports families whose children need oncological treatment.